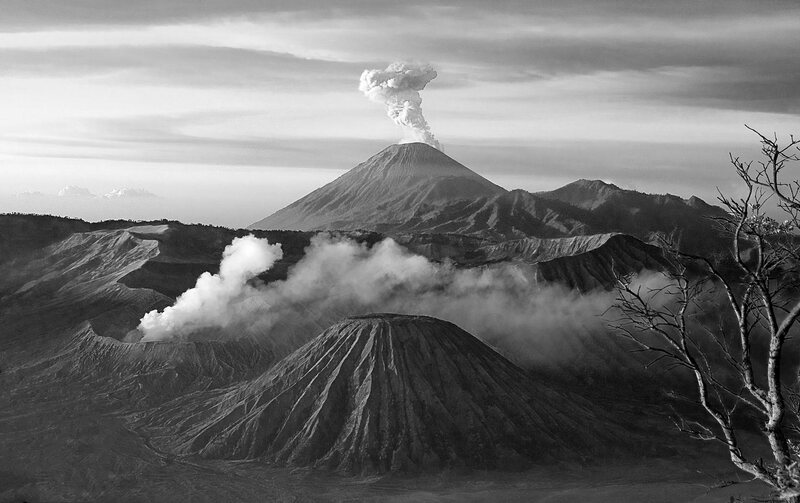 The steaming crater of Mount Bromo, erupting Mount Semeru, stately Mount Batok. , East Java. Indonesia.